It's a refrain echoed by nearly all recent arrivals to Alaska: "Why is everything so expensive here?" Like many questions, there's an easy answer and a more complete one. The easy answer is that Alaska is big and sparsely populated, access to many places is difficult and it's far from places where goods are manufactured. Shipping is, therefore, expensive, and it drives up the costs of everything from gasoline to lumber to finished consumer goods. Hence, everything is more expensive. But a closer look at the drivers of Alaska's cost of living reveals more nuance. According to figures recently released by the state Department of Labor, specific types of costs stand out in locations around the state. And although high costs aren't a positive in and of themselves, knowing what they are can be instructive: If Alaska wishes to make its best progress, it can do so by reducing the aspects of life here that cost residents the most. In Fairbanks, for instance, utility costs — primarily for heating and electricity — are off the charts, standing at 207 percent of the national average. And if you think that's bad, it's actually a marked improvement from last year, when the differential between Fairbanks costs and the national average was almost 16 percent greater. But as egregious as those utility costs are, they're a spotlight for policymakers with regard to making life easier for Interior residents: Bring down energy costs. One major initiative is already underway — the Interior Energy Project, which would bring an increased supply of Cook Inlet natural gas to Fairbanks and North Pole, stabilizing and reducing costs for home heating and providing new fuel options for electricity cooperative Golden Valley Electric Association. In rural Alaska, energy costs can be even more of a burden, and infrastructure serving communities is even less robust. Where new energy sources can be found or alternative, more cost-effective solutions implemented for villages, it will go far toward driving down costs for those communities, their residents and the state as a whole. Here in Anchorage, housing costs were once a significant, expensive outlier, with rental vacancy at 2 percent and costs far above the U.S. average. The cost of renting or buying a home here is still considerably more expensive than the U.S. average — about 39 percent higher — but the gap is shrinking as Alaska experiences a recession and the Lower 48 continues its economic recovery, driving housing demand down here. If Alaska's economy recovers in the near future, however, the price differential may go back up, which would be an opportunity for homebuilders to provide more reasonable options for Alaskans seeking homes. Across Alaska, one standout item driving up the cost of living no matter where you are is health care. That's no particular surprise: Health care in Alaska has always been expensive here, a fact that has strained residents' pocketbooks, state Medicaid funds and exchanges set up under the Affordable Care Act. Health care is a complex issue and there is no single action that will bring down Alaska's high costs, but the statewide nature of the issue and the fact that a substantial portion of state spending each year goes toward health care underscores the seriousness of seeking better, more cost-effective solutions. Alaska's options for overcoming the tyranny of distance will always be somewhat limited. Our state doesn't have the infrastructure to manufacture many of its finished goods, and importing them comes with costs. But a close look at costs of living in communities around the state is instructive: In some aspects of our lives, our cities and our state can make a difference in helping residents live here more affordably, and reducing those costs should be a top priority. 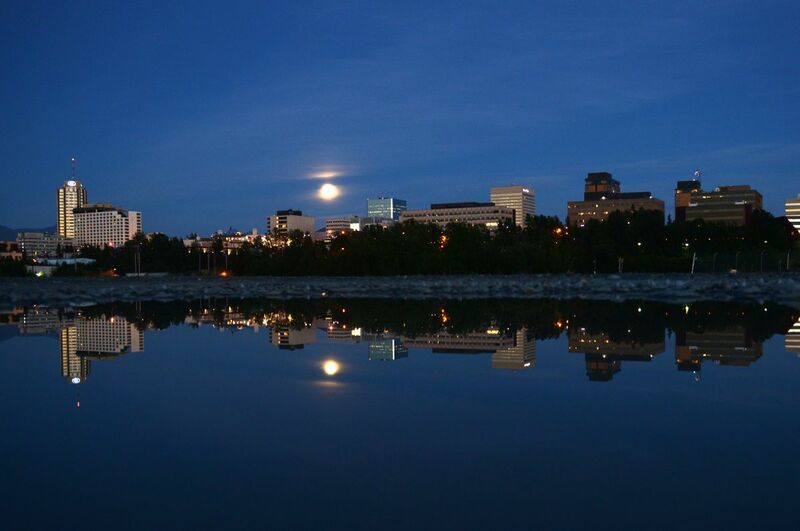 The views expressed here are those of the Anchorage Daily News, as expressed by its editorial board which welcomes a broad range of viewpoints. Current editorial board members are Ryan Binkley, Andy Pennington, Tom Hewitt and Andrew Jensen. To submit a piece for consideration, email commentary@adn.com. Send submissions shorter than 200 words to letters@adn.com or click here to submit via any web browser.